$364.99 each List: $675.00, You Save: $310.01! 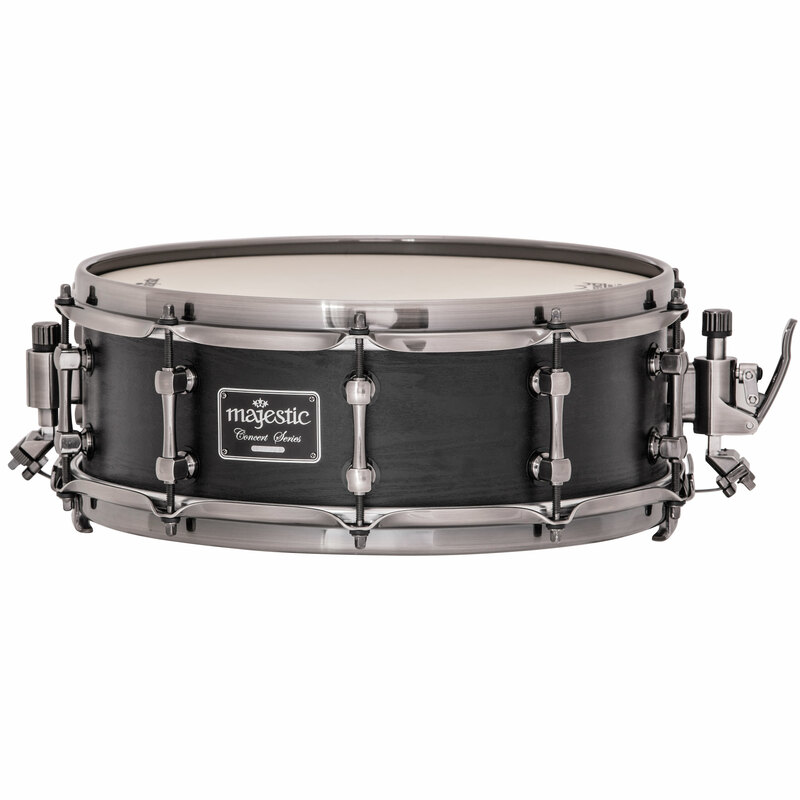 The 14" x 5" Maple Concert Snare Drum from Majestic is a beautiful addition to any symphonic setting. This drum has a list of high-quality features that work to give it a great sound. Solid die-cast hoops and tension rods evenly hold optimal pressure on the (included) Remo Renaissance heads. With a quiet and smooth piston-action throw-off, you will never disrupt the band's sound by switching on the snares. And speaking of snares, with a combination of coated and uncoated snare wires, this drum will speak evenly at every dynamic from pppp (because that's a real dynamic to concert percussionists unfortunately) to FFF!